A modern take on the classic Pakistani dish, Chicken Karahi. Knorr ingredients makes the dish easy to prepare with the right balance of flavours. Serve this recipe with an assortment of naans. Download the recipe here! Heat Rafhan Corn Oil sauté garlic and onion till aromatic and slightly brown. Add in sauces, Knorr Chicken Stock Powder and spices. Fry till oil separates then add chicken and ½ cup of water. 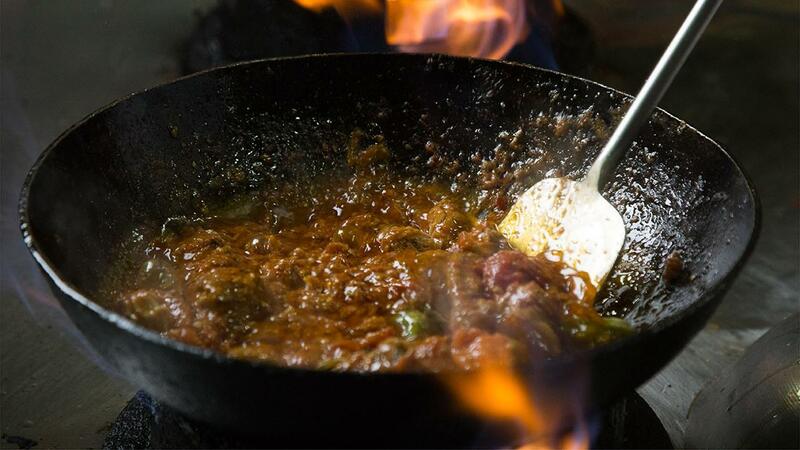 Stir and simmer till masala just comes together. In another pan melt butter and fry julienne vegetables. Lastly sprinkle with coriander and ginger. Serve hot.